Choose between wide angle, telephoto or dual lens camera on iPhone 7 Plus. Manually select any of the available microphones. Want to do live voice over while recording? Select the front facing microphone while you record with the back facing camera. Want to monitor audio with a headset but want to use the phone microphone? Select the phone’s back microphone instead. When you run out of disk space while recording, recording is stopped in time to make sure your video can still be saved to the camera roll. If you enjoy using Kinomatic, please take a minute to leave a positive review on the App Store. It helps a lot. Thank you for helping us continue to make Kinomatic great! 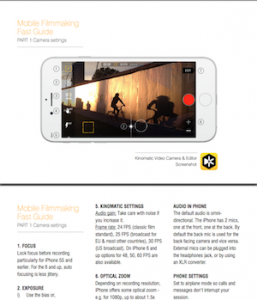 You can now record 4K video on iPhone 6S and iPhone 6S Plus. You can now select resolution and frame rate independently from each other. With resolution options ranging from 4K to 480p (available options depending on your device) and frame rates ranging from 24FPS to 240FPS (available options depending on your device). Note: not all combinations of resolution and frame rate are possible. When selecting an unavailable combination the app will automatically adjust the configuration to the closest available and notify you about it. 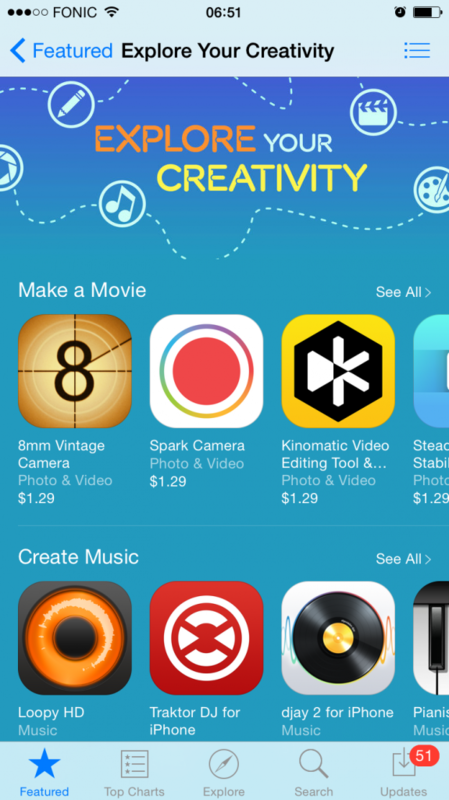 We’ve optimised Kinomatic’s complete code base for iOS9. If you enjoy using Kinomatic, please take a minute to leave a positive review. It helps a lot! As App Store ratings start from scratch with every new version, resubmitting your previous review also helps a lot. Thank you for helping us continue to make Kinomatic great!! 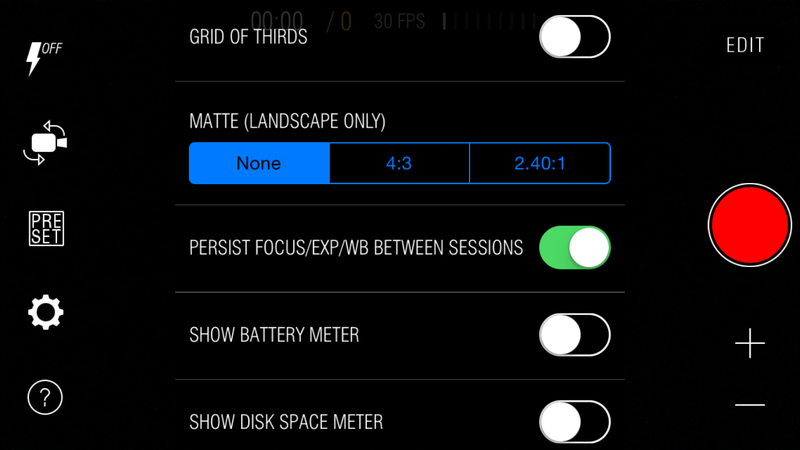 In addition to manual exposure, you can now also control focus (lens position) manually. To do so, lock focus, then tap the lens position button to bring up the focus dial. We added an option in the camera settings to restrict the zoom range to prevent scaling of the image. 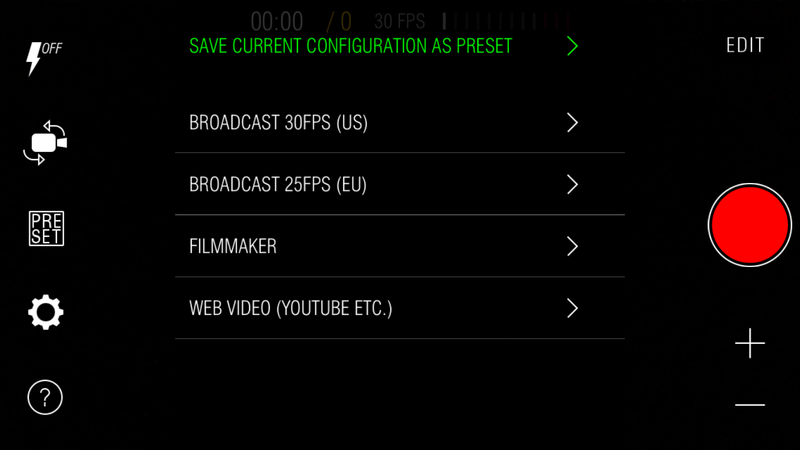 Turning on this option will ensure you will never degrade the quality of your footage by zooming into the digital range. 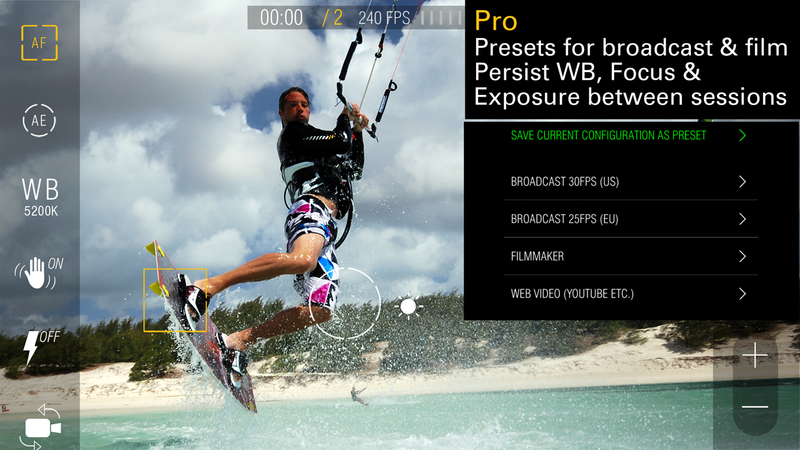 The new dial controls will give you even better control over focus and exposure. They have been tested and refined to be super responsive and precise. The ISO and shutter speed dials support a range of discrete values and can be scrubbed or advanced to the next and previous value with a tap. The focus dial is continuous. As App Store ratings start from scratch with every new version, resubmitting your rating also helps a lot. Thank you for helping us continue to make Kinomatic great!! Record in 240 or 120 frames per second on devices that support this. 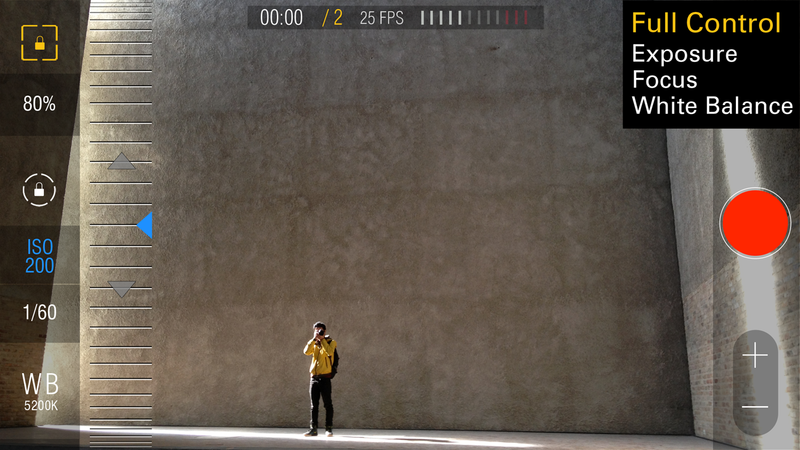 We’ve also added 48, 50 and 60 FPS modes (at 720p) on iPhone 5 and 5S. • Video compression settings for camera recordings have been optimised. • Adjusted manual shutter speed configuration options so that shutter speed can be set according to 180 degree rule for most frame rates. • Resolved a crash bug triggered when selecting a preset that uses the front-facing camera. • Improved rendering of sound wave visualisations in the editor. Store the complete current camera configuration for later re-use. Just create a preset and give it a name, and select the preset from your preset list at any time to re-configure the camera to those exact same settings. With Super Persist the camera will remember its full configuration between sessions, including ISO, shutter speed, white balance and focus (lens position). A great way to ensure consistency when you are shooting in controlled conditions. Using Super Persist is optional and can be switched on in the camera settings. With Super Persist turned off, the camera will always start up with auto focus / auto exposure / auto white balance. • Clips recorded with the front facing camera are now stored right-side-up. 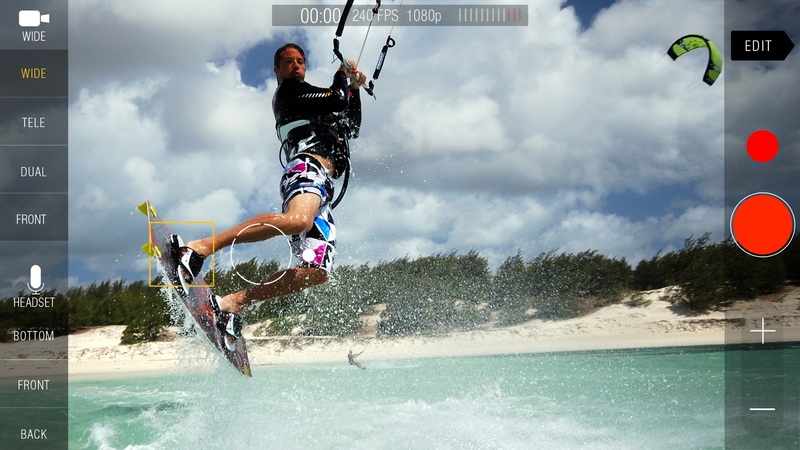 • The toggle to turn the grid-of-thirds overlay on and off has been moved to the camera settings menu. A quick overview of settings to check before shooting video on your phone including: manual exposure, setting white balance, locking focus, quick ways to check coverage, optical zoom, the particulars of audio on iPhone and more, download it here.